A couple of weeks ago Eric and I went to see the Elkhart Civic Theatre’s performance of Deathtrap at the Bristol Opera House. One of our long time friends was in it, so we just had to go see it. If you ever see that this play is being performed, do yourself a favor and go see it!! I am not going to spoil the storyline because it is just awesome when you go into knowing nothing about it. The only thing I will say is that it is a great whodunit thriller that will keep you guessing till the very end! Go find a theatre and enjoy it! 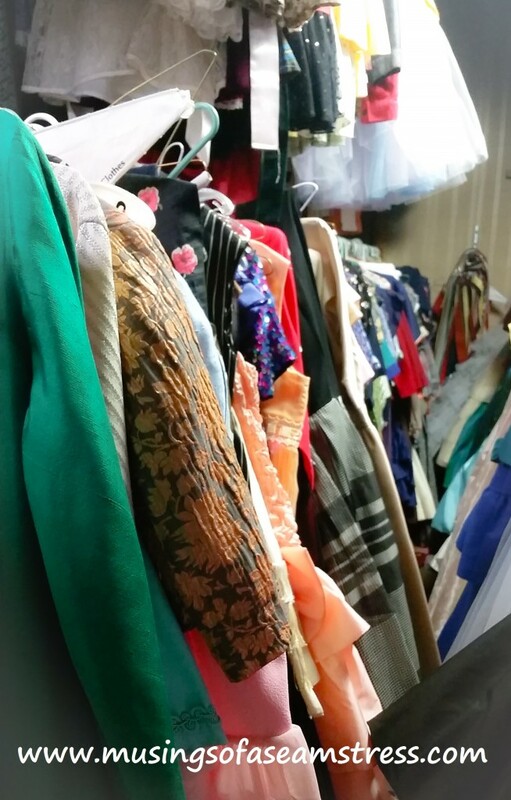 After the show, I had the pleasure of getting to explore the large collection of costumes. Walking into the room this is the first glimpse you get. To say it is packed is an understatement. Row after row of all sorts of costumes stuffed so tightly together on each rack that you could spend days looking through every single garment. I didn’t bring my actual fancy camera since I didn’t know I would get to do this, so pictures from my phone will have to suffice. Maybe next time. There are quite a few ghost stories circulating around the theatre, which is to be expected since the building was built in 1897. 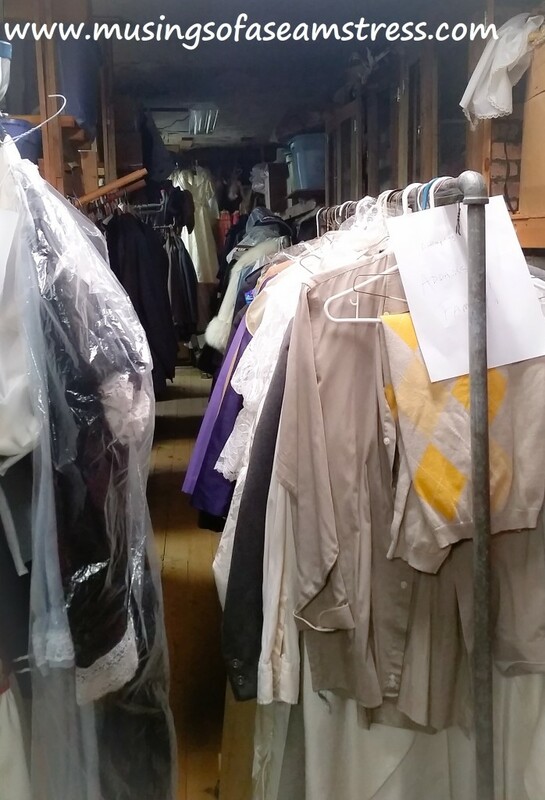 My friend giving me the tour told me one such story about the costume department in particular. She said that there is a ghost who will help you locate garments you are searching for when you cannot find them. All you have to do is ask for her help. 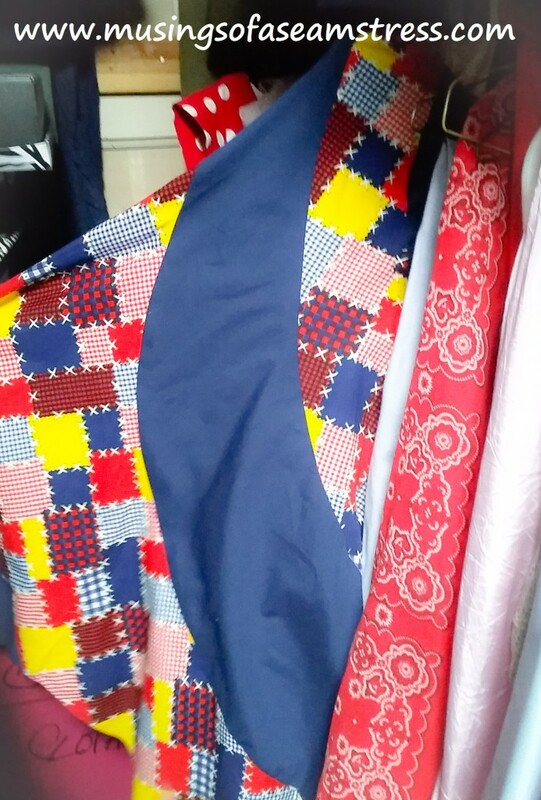 When you return to the room the garment will either be on the end of a rack or you will immediately know where to go. I believe in ghosts, so I am going to go with this story too. There was an article recently published in the local paper, The Truth, that details some of the other ghost stories centered around the theatre and some other locations in Elkhart. 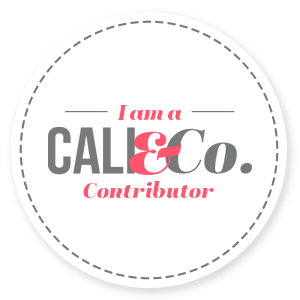 It is a great read and I recommend checking it out. Back to the costumes! This little number was one of the fun treasures I found. 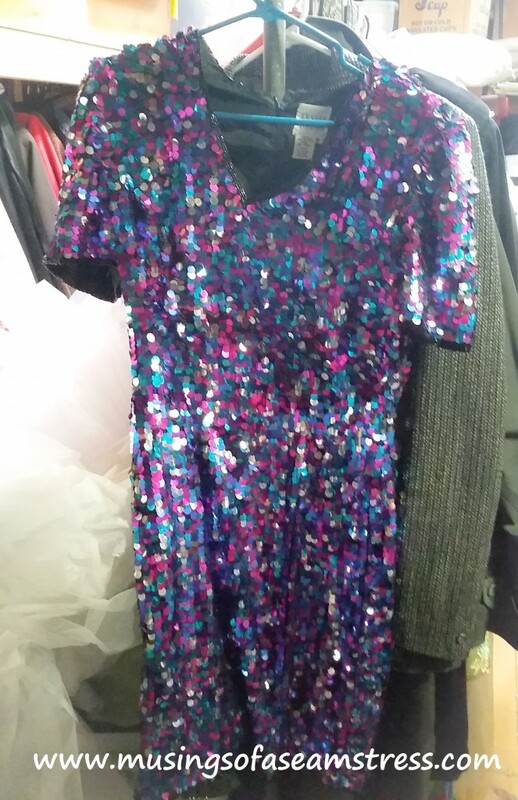 Sequins galore, because working in the show choir industry, you know I have a love of sequins. I am so curious as to which show this would have been used for. It is just fun and flashy that I have no idea. 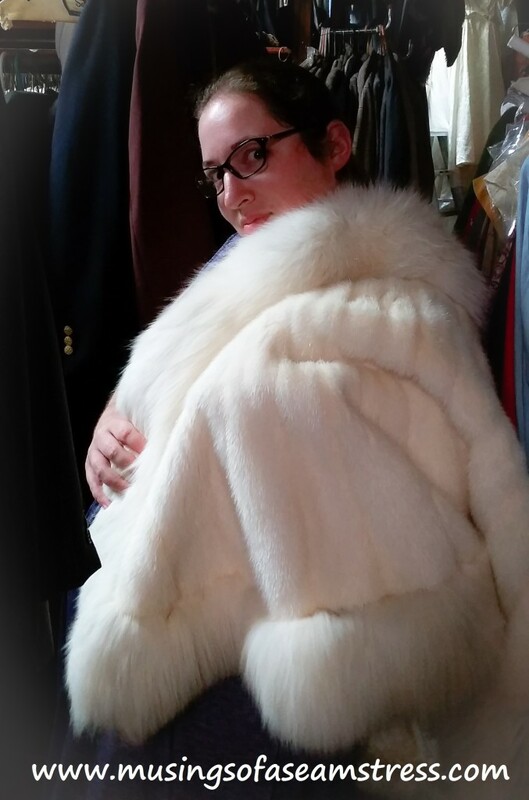 I also discovered this gorgeously soft white vintage fur cape. Based on how luxurious it felt and the condition it was in, I am guessing it is real fur. Of course I had to try it on! 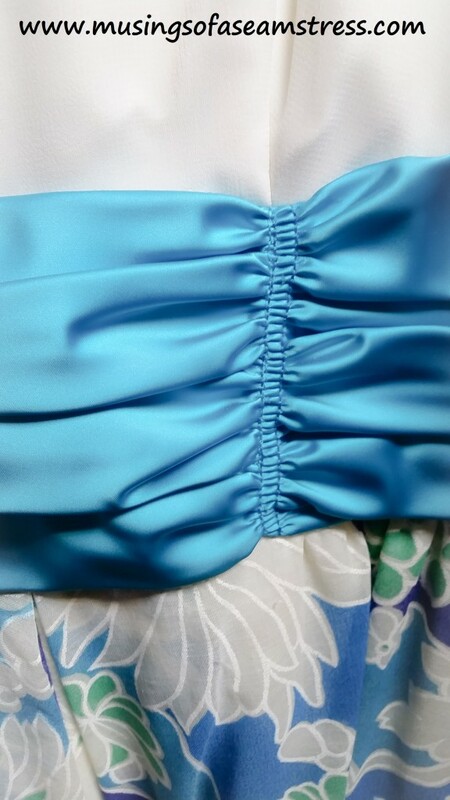 Look at that ruched detailing on this 70’s dress. Just fab! The skirt was a poly of some type with this great floral burnout. Patchwork printed peppermint swirl skirt anyone? What a number this one is! 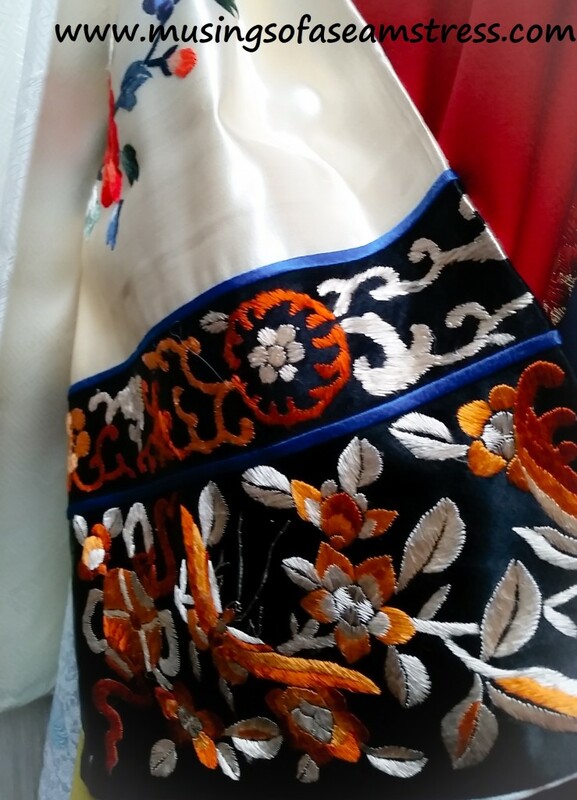 Then there was this embroidered kimono inspired dress! Ack! The colors are just divine. Again, another one of those garments that I would love to know more about which show it was used for. Then there were the hats! So many hats! Above every aisle were shelves every type of hat imaginable. 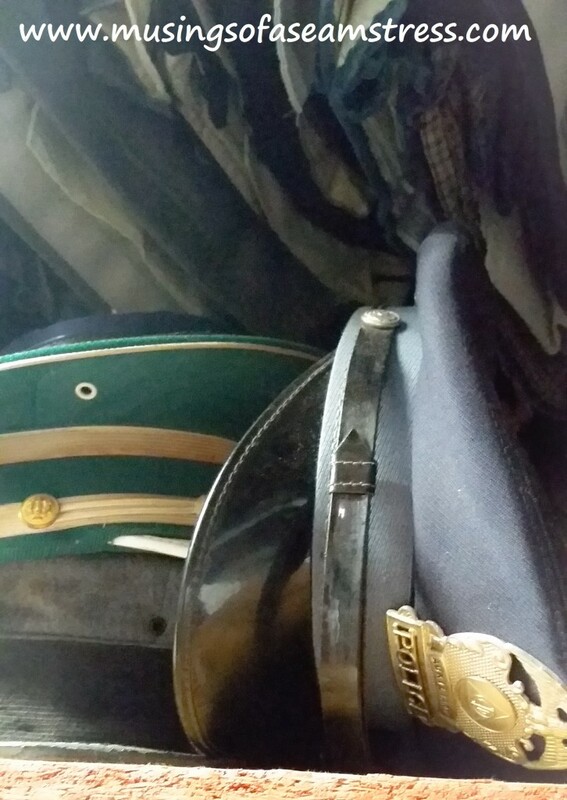 This was a shelf of just police hats. Yep, that was it, all sorts of different police hats. This gorgeous little number caught my attention. My first instinct is to say this is a French Baroque inspired hat. Super fun. 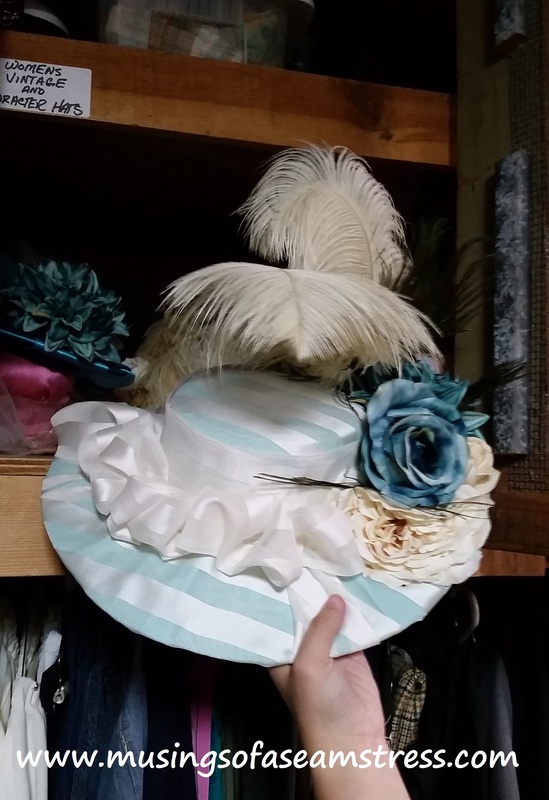 I would love to find the dress that goes with this hat. 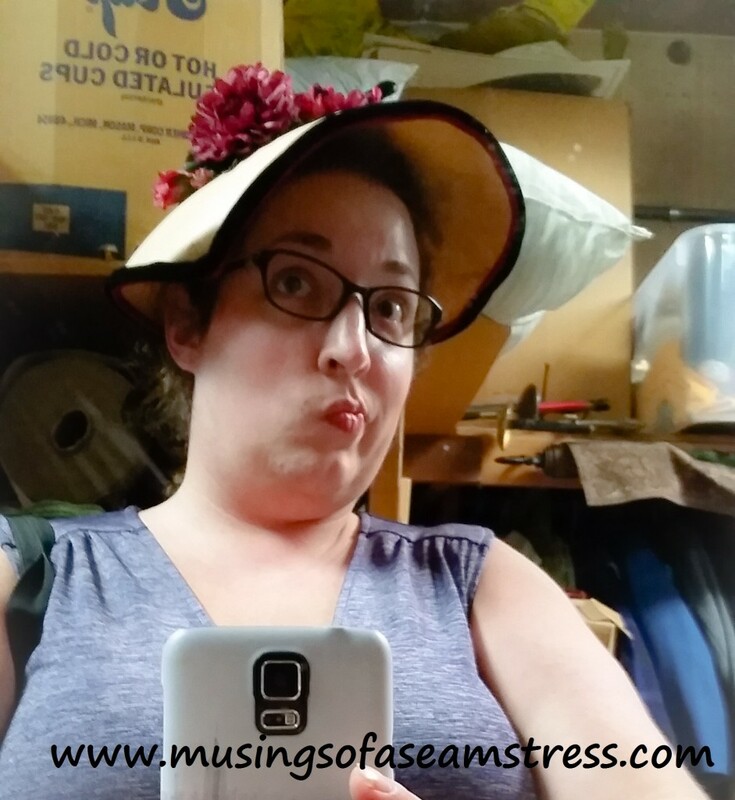 Why stop at trying on furs, when I could easily try on hats too? I am not sure of when this one is supposed to be from, my guess is either 40’s or 50’s. If you know, comment below, because I am curious. It was fun to try on and definitely makes me want to try my hand at vintage dressing. If you are going to costume any character, of course, accessories must be included. This entire end of the aisle was shelf after shelf of totes filled with different accessories. I did not get a chance to go through them, but I wish I had. 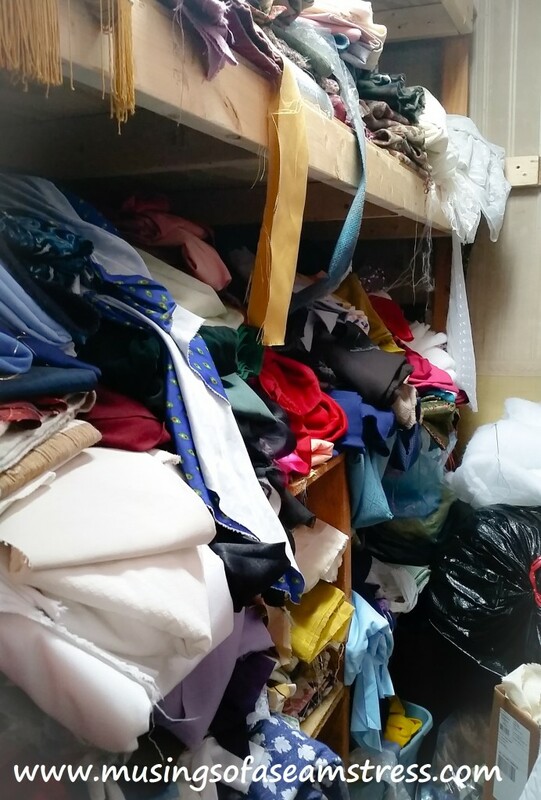 Now, a lot of costumes are pulled from what they already have on hand, but the theatre does have a decent size stash of fabric as well those times that they need to make something. It looks a lot like the current state of my fabric stash. This is where the costumers work. 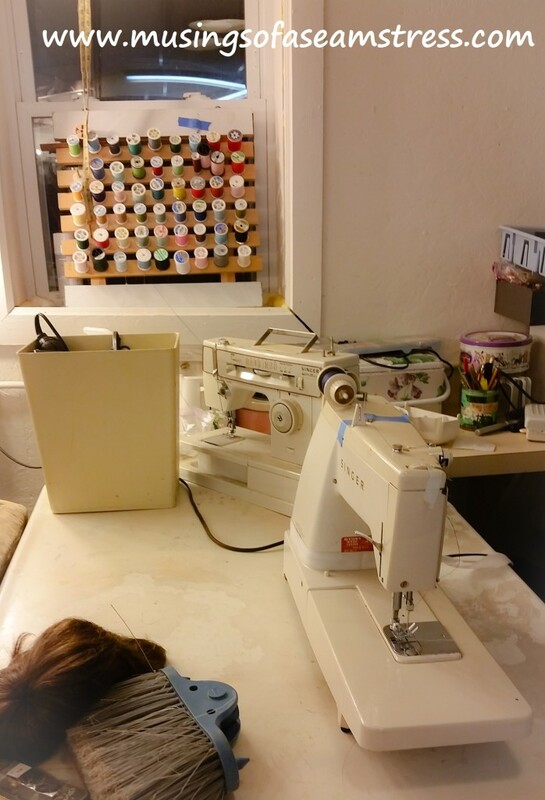 A couple of machines, a rack of thread, and a tin of notions down in the dressing area. 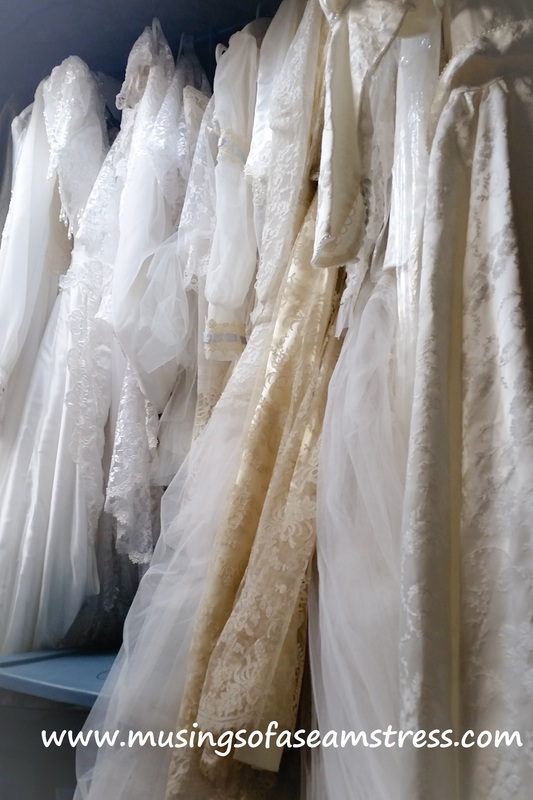 Sometimes if they are working on a large number of costumes they will temporarily rent a space where they can spread out and bring in a few more machines. 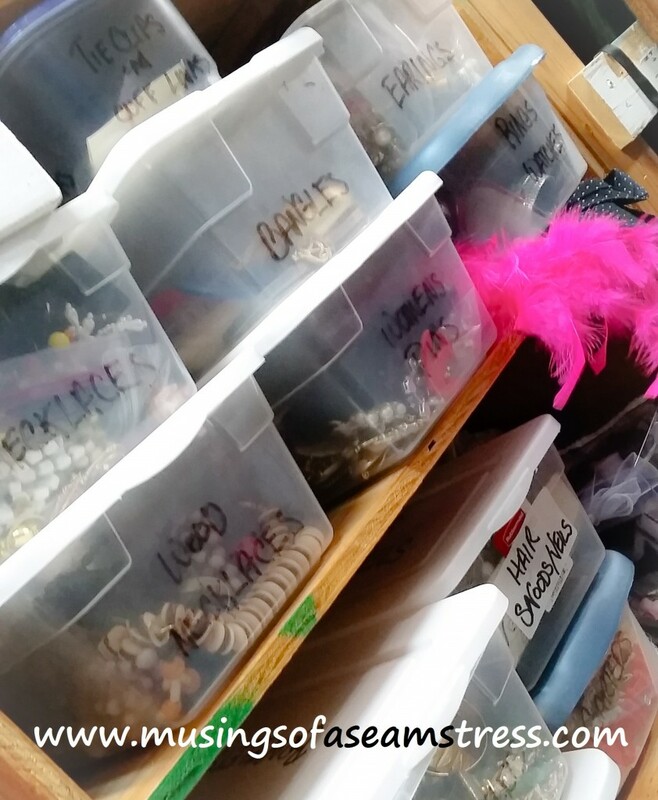 My friend also talked about the troubles of having such a packed costuming storage and small sewing space. They are talking about renovations they can make to improve those things, but both take time and money considering the age of the building. They are trying to make other improvements as well to attract more patrons and donations. One such area that they are currently working on is the front lobby. I am excited to say that I will be helping out with that by making the new curtains to go into the far two windows! I am sure most local theatre’s face similar funding issues like the Elkhart Civic Theatre. If you want to help out volunteer, make a donation, or better yet, go see a show. It makes a fun date night for sure. 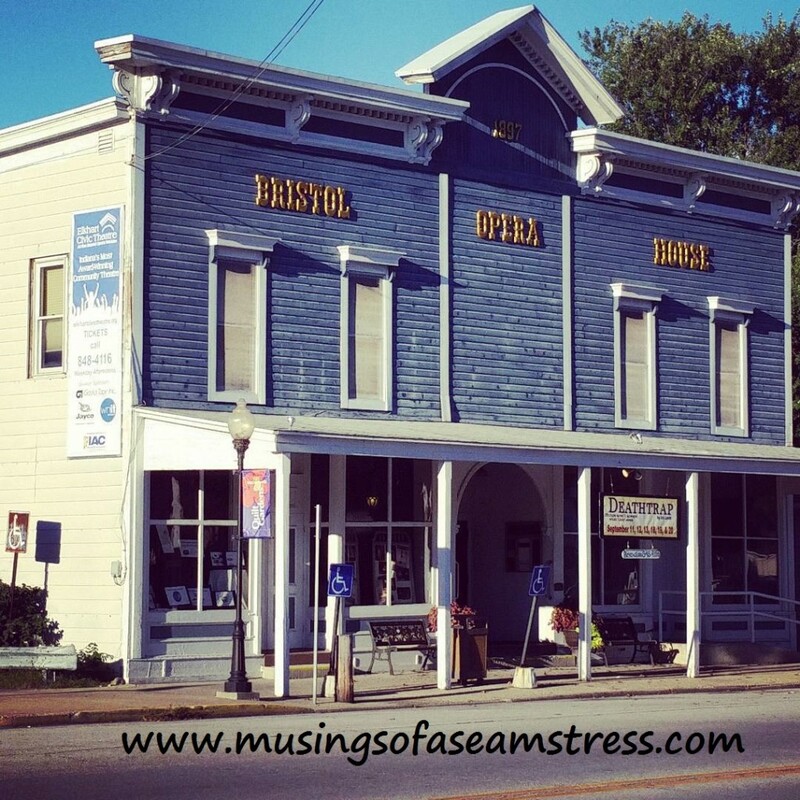 This entry was posted in Sewing and tagged Bristol Opera House, civic theatre, costumer, costumes, Deathtrap, Elkhart Civic Theatre, local theatre. Bookmark the permalink. How fun that you got to explore the costumes! 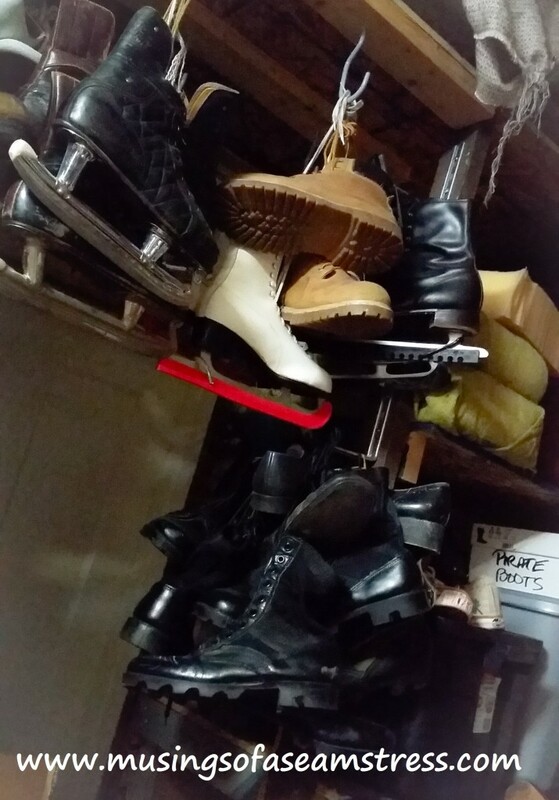 Thanks for sharing this behind-the-scenes look with us.